Kelly Kinzle 9 Center Square New Oxford, PA 17350 kellykinzle@comcast.net Standing Greyhound, J.W. 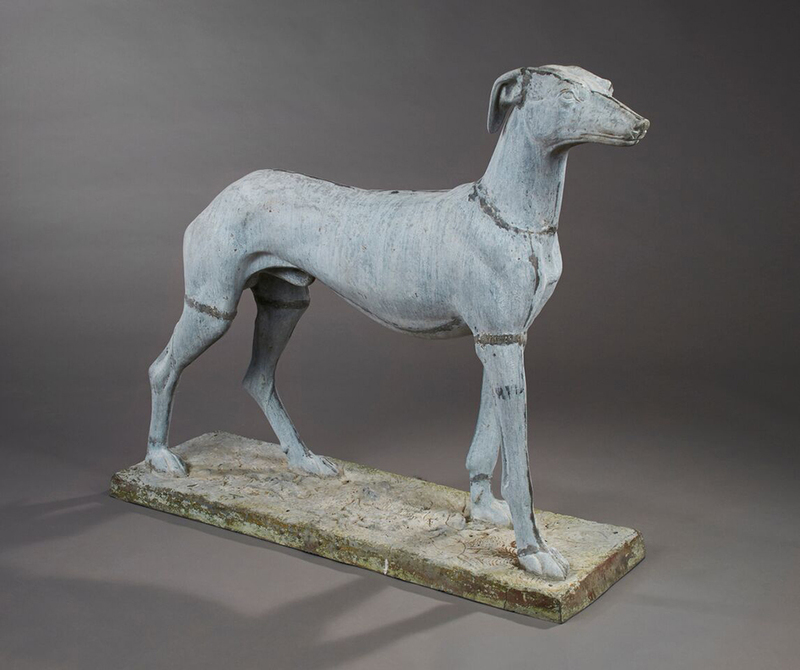 Fiske Company Zinc Circa 1870-1880 H: 36"; L: 46"; D: 13" Based on an effigy of Prince Albert's beloved greyhound, Eos at Windsor Castle, the J.W. Fiske Company's version, Standing Greyhound appeared in their catalog as early as 1872.